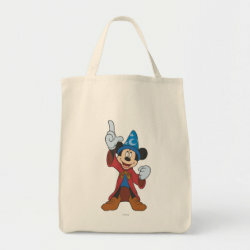 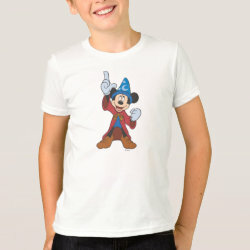 Mickey Mouse as the Sorcerer's Apprentice is featured on on this design from the 1940 animated feature film Fantasia. 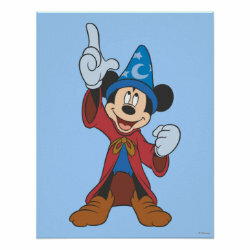 Mickey Mouse plays an aspiring magician who More... oversteps his limits. 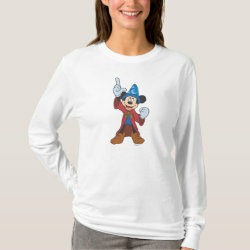 In this scene Mickey is standing on top of a pinnacle commanding the stars and planets. 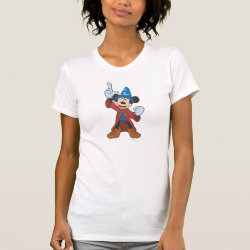 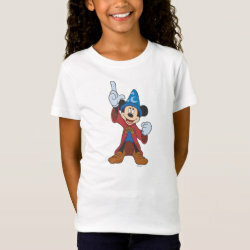 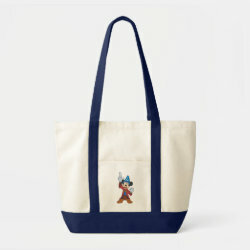 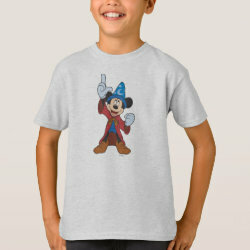 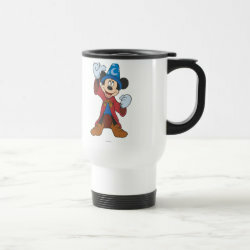 Great apparel and gifts here for Fantasia fans and Disney collectors.